6 Should you buy one? Size It's pretty dinky, way smaller than you expect for 30W. Power 30W is a good sweet spot, you can max out most phones and still charge some laptops reasonably fast. Compatibility Supports plenty of voltage/amperage combos, even worked with picky devices. Sound Some chargers make obnoxious high-pitched noises, this one has a very slight buzz, but it's inaudible from more than about a foot away. Design It would have been a whole lot cooler if the prongs folded in. 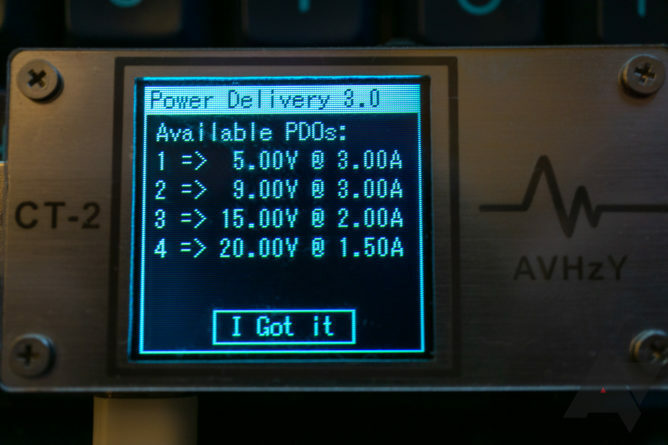 Output It supports PD 3.0 spec, but no PPS support is a bit of a buzzkill. Size comparisons. 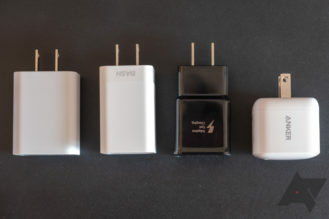 Left: Apple 61W, Google 45W, Anker 30W. Right: Google Pixel 18W, OnePlus 20W Dash/Warp, Samsung 15W, Anker 30W. When Anker announced the PowerPort Atom PD 1, it seemed almost comically small, but in real life it's a bit bigger than you might expect. Don't get me wrong, it is tiny, especially considering the power it can output, but it's not quite so dinky as the old nearly cubic stock iPhone chargers it was repeatedly compared to. The shape bulges out a bit more than that. 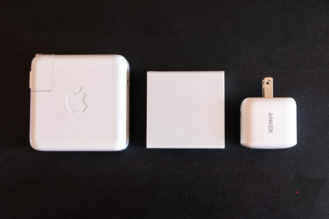 It's made of white plastic, matte on all sides save one: that with the labeled, off-center, PD-compliant Type-C output. Most of the corners are rounded over, and it's more of a rectangular prism than a perfect cube, even omitting the prongs. Those prongs are dead center on one of the smaller faces, with very little overhang. 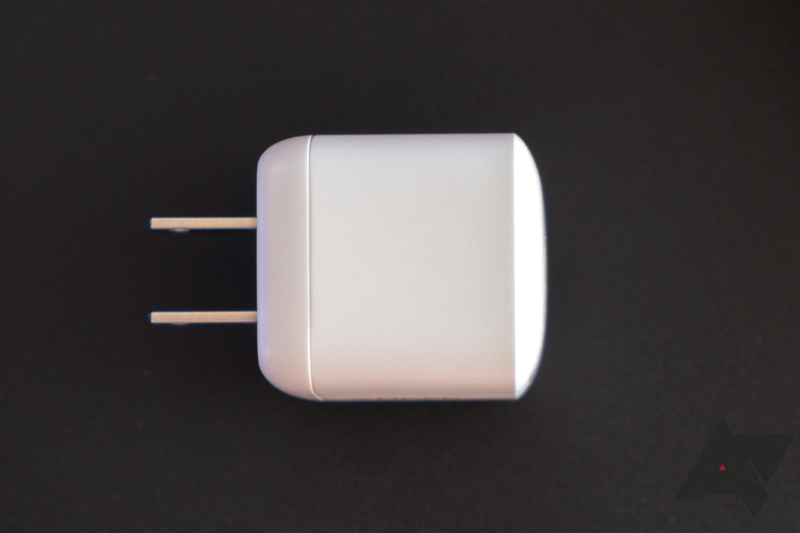 The body of the charger shouldn't block any other outlets unless the plugs are closer together than usual, or your other devices need a bit of extra space. 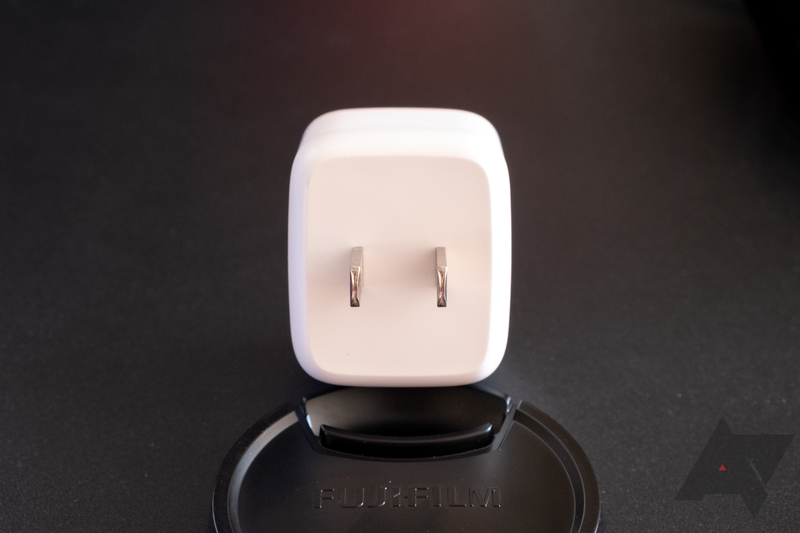 On that note, its only design shortcoming is a lack of folding prongs, which would make the overall package even more compact and easier to toss loosely into your bag. As someone who doesn't want to worry about a pair of steel prongs scratching stuff in my carry-on, I wish Anker had included that. 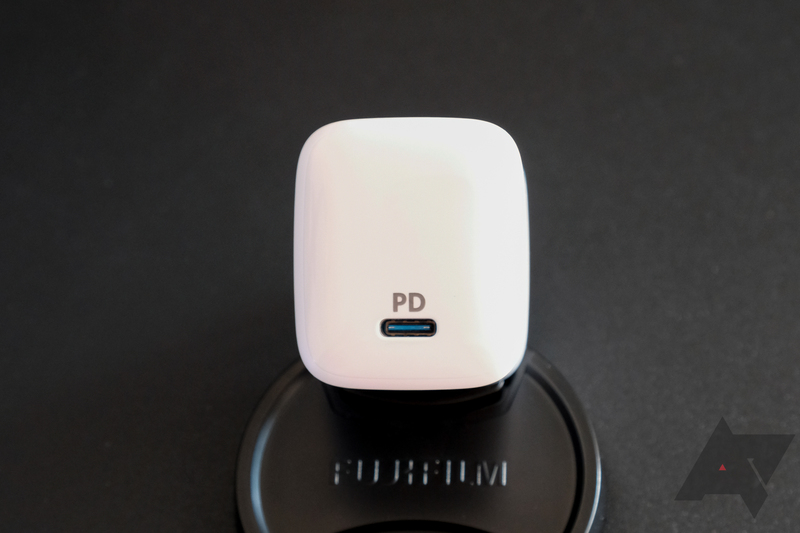 The PowerPort Atom PD 1 doesn't come with much. You get a box, a charger wrapped in semi-transparent plastic, the obligatory user manual and feedback card, and that's it. Typically we like to see a cable included, assuming it's decent quality. 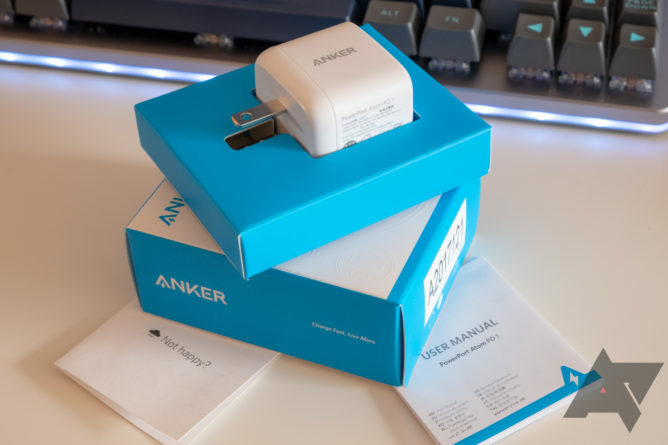 Anker does include an 18-month warranty, though. Tests were measured with my Satechi USB Type-C meter, Intertek power meter, Etekcity laser thermometer, and AVHzY CT-2 USB meter. The charger got a bit toasty when connected to my MacBook Pro, stabilizing at around 131F (55C) after an hour or so. While that's not jerk-your-hand-back hot, you wouldn't want to be leaning against it, as it's technically hot enough to burn you over a longer period. 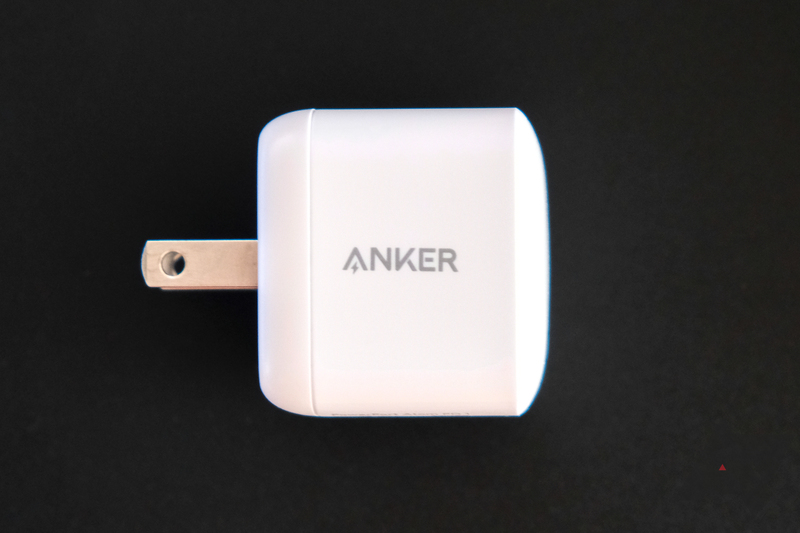 Anker's PowerPort Atom PD 1 may have gotten warm in testing, but it was pretty quiet. With your ear right against it, you can hear some light buzzing, but more than around a foot away and the charger is inaudible. It shouldn't keep you awake at night in a hotel room unless the outlet is right next to your head. My MacBook Pro (left) and Pixelbook (right) were both happy to charge at max rates. 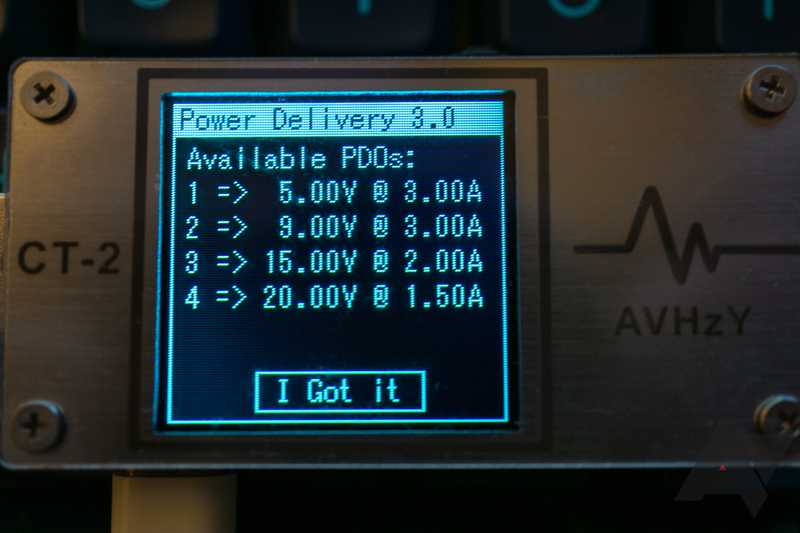 In anecdotal device testing, it provided power to my MacBook Pro at the charger's full 30W (~20V 1.5A). Even my Pixelbook happily sucked down 30W at 15V 2A, and it's a notoriously picky device. In general, I've found that if something works with the Pixelbook, odds are it will work with anything. Even so, I threw all the rest of my gadgets at the charger, and they were all happy with it. Every phone I tested it with was able to pull power from it, with the Pixel 3 hitting its max ~18W speed. PD chargers and batteries may sometimes offer an inconsistent experience in general, but that is definitely not the case here. Yes. And in this case, there is no "but." 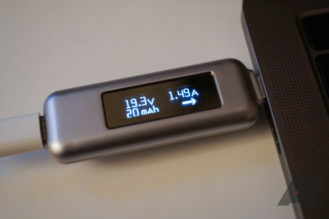 If you need a phased plasma rifle in the 40W range 30W charger for a more power-hungry device like a laptop or Chromebook, this is the one to get. Do keep in mind, though, many laptops may need more power. 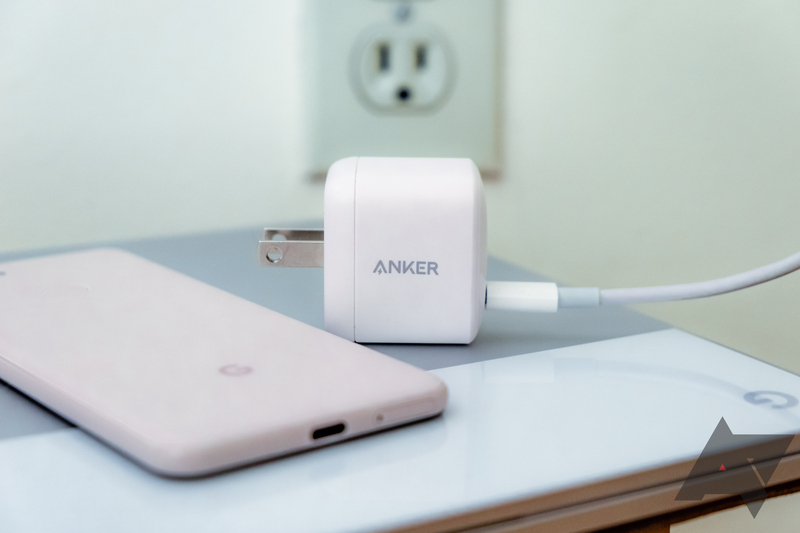 In such cases, Anker's PowerPort Atom PD 1 may not be enough to charge them as quickly as the included charger, and it may even fail to charge your laptop faster than it consumes power. YMMV, you'll need to do the footwork to determine how much power your particular laptop (or other device) may need. No charger is ideal for all use cases. 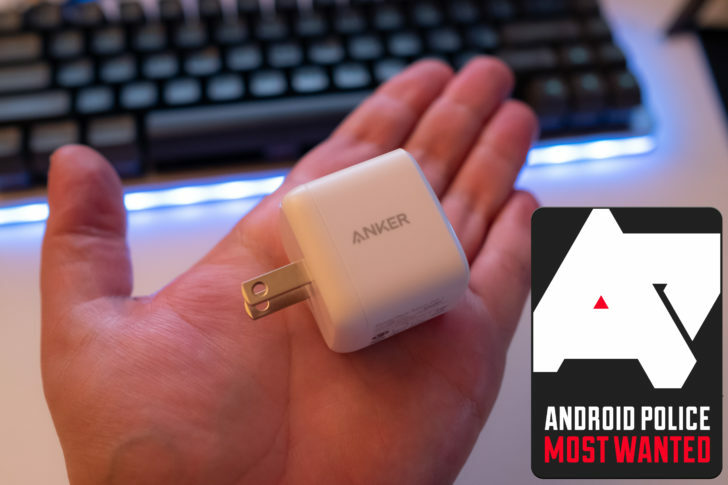 I'll happily sing the praises of Anker's PowerPort Atom PD 1 to anyone willing to listen, and at $30 it's only a few bucks more than some other 30W Anker chargers. Sure, you're saving less than two cubic inches compared to that model (1.7, to be precise), but for $4 more, it's worth it. 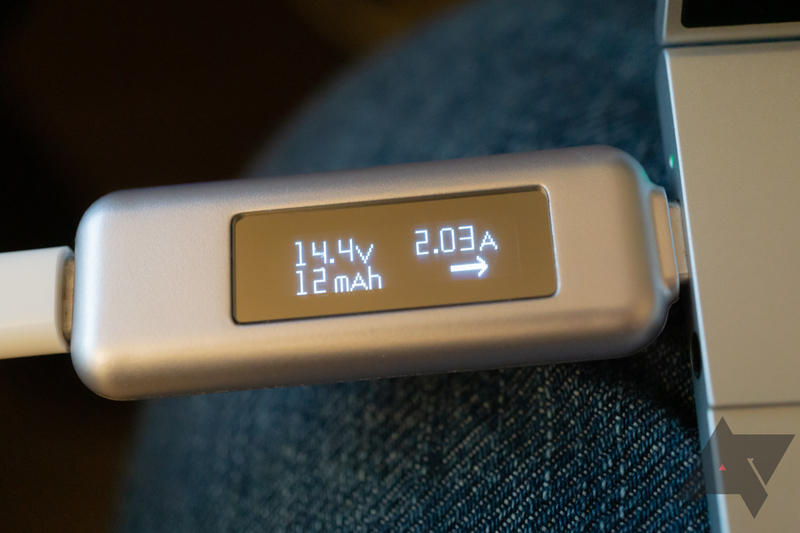 If you travel a lot, and you have a lower to mid-wattage laptop or Chromebook, this is the charger to buy. You travel a lot and want to save space. 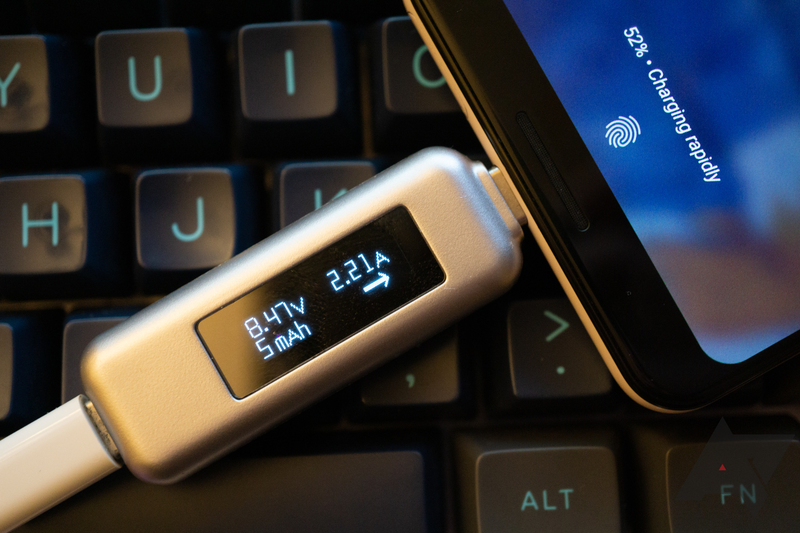 You'll be using it with higher-wattage devices, like a laptop. You primarily need a phone charger (30W would be overkill).